Poultry keepers have been told to remain on stand-by after officials warned bird flu could become a ‘recurring threat’. 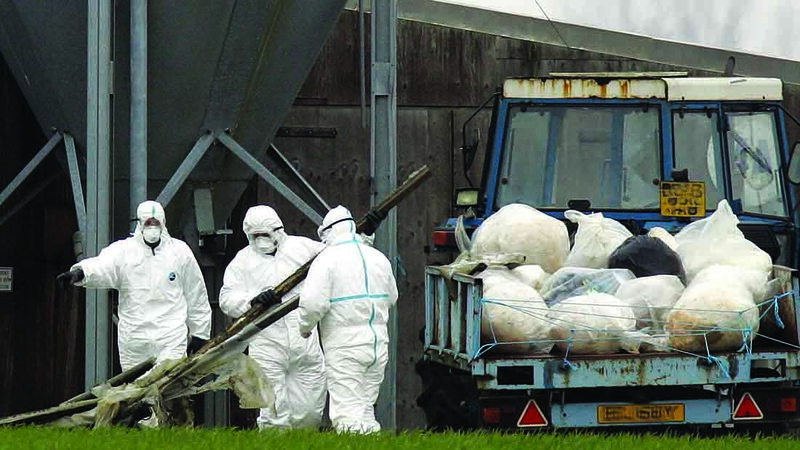 Bird flu regulations are set to be relaxed by the end of May. Despite a drop in active disease levels of the H5N8 strain throughout the UK, a recent outbreak of bird flu in Sweden has prompted renewed concerns it could circulate once again. NFU Scotland poultry policy manager Penny Middleton said the extent of disease seen this winter had ‘been unprecedented but could be the start of a recurring pattern’. The ban on poultry gatherings in England and Scotland will also be lifted on May 15. Restrictions throughout the UK are expected to be relaxed by the end of the month but Defra chief veterinary officer Nigel Gibbens urged keepers to continue to follow best practice on biosecurity and remain vigilant for signs of the disease. Officials confirmed the risk level would be kept under review but said the current risk should be assessed as low, meaning ‘outbreaks are rare but can occur occasionally’. It came as Northumberland County Show confirmed the cancellation of its poultry section due to ‘continuing restrictions’. Chairman James Wardle said the decision followed ‘much thought and consideration’. Tom Forgrave, Ulster Farmers’ Union chairman, supported the decision by the Department of Agriculture, Environment and Rural Affairs to extend its prevention zone until May 31.